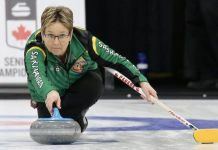 Canada will not compete for a medal at the 2015 World Wheelchair Curling Championship after losing its final two games of the round-robin and finishing 4-5 at the Kisakallio Sports Institute in Lohja, Finland. Dennis Thiessen, front, delivers his rock as Sonja Gaudet and Ina Forrest look on. It is the first time Team Canada — skip Mark Ideson of London, Ont. (throwing lead rocks), vice-skip Ina Forrest (Armstrong, B.C. ; throwing fourth stones), third Dennis Thiessen (Sanford, Man. ), second Sonja Gaudet (Vernon, B.C. ), alternate Marie Wright (Moose Jaw, Sask. ), and coach Joe Rea (Prince George, B.C.) — will miss the World Wheelchair Curling Championship playoffs since 2012. Canada won gold at the 2013 championship and at last year’s 2014 Paralympic Winter Games. Canada started Day 5 with a 7-6 loss to Radoslav Duris of Slovakia. Canada had the hammer in the last end with the score tied 6-6. 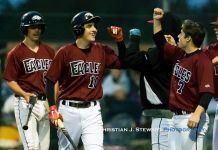 However, the Eastern European nation managed a steal of one point and squeaked out a 7-6 victory. 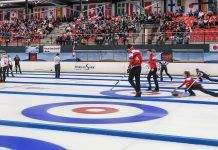 Canada opened the game with a three-ender, but Slovakia responded with a single in the second and a three-point steal in the third. Canada recovered by scoring one in the fourth, allowing a single in the fifth and gaining a 6-5 lead by scoring a deuce in the sixth. Slovakia scored one in the seventh before stealing the all important single in the final end. 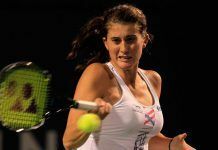 The loss put Canada in a must-win situation against the undefeated Russian team skipped by Andrey Smirnov during the afternoon draw. Russia emerged as 6-4 victors. Canada opened the game against Russia by blanking the first end, scoring two in the second and stealing a point in the third. Russia erased Canada’s lead by scoring a single in the fourth, and stealing three points in the fifth end. Canada scored one in the sixth to tie the game 4-4, but Russia rallied back with a point in each the seventh and eighth ends to secure the win. Canada finished sixth overall in the round-robin. Russia, China, Finland, and Slovakia will advance to Thursday’s playoff games and compete for gold. 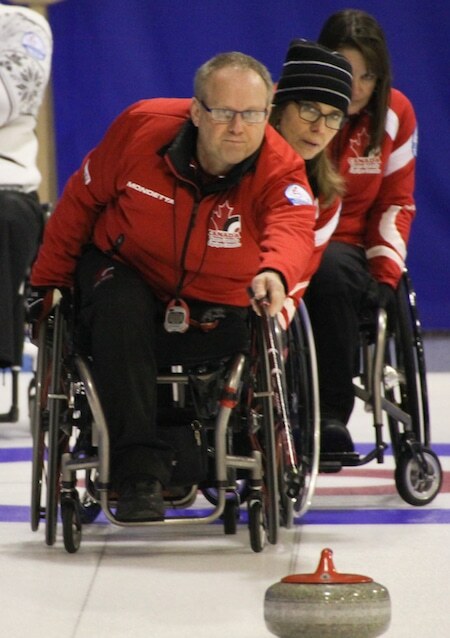 Live scoring, standings, and the live stream from the 2015 World Wheelchair Curling Championship can be found at: http://wwhcc2015.curlingevents.com/.